For months, Josette Duran has been packing her son an extra lunch to bring to school simply because he asked her to. The mom didn’t ask questions. She thought he was just hungry, but then she found out the truth. Duran’s heart sank and melted at the same time. She was proud of her son, but she also felt awful for his new friend. “It’s not for praise or anything; it’s pretty -- pretty intense,” Duran shared the story in a Facebook live video. 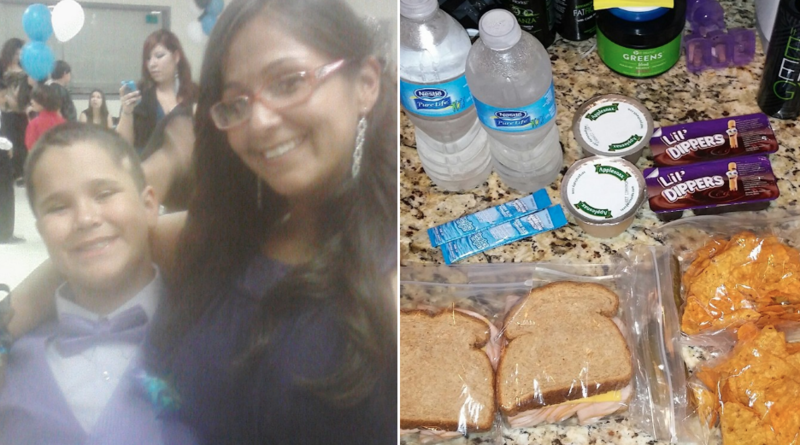 HEARTWARMING: A mother packed an extra lunch for her son's friend for weeks. The woman found out the little boy's mom lost her job and couldn't afford to pay for his school lunches. When the mother of the little boy found out what the Durans were doing, she contacted the school, hoping to pay Duran back for her kindness. “She says, ‘I know this isn’t much, but I just got a job, and I know you’ve been feeding my son,’” Duran explained on Facebook. But Duran wouldn’t accept the mom’s money. Instead, she continued to pay it forward. According to CBS affiliate KCCI, the girls’ volleyball team Duran coaches raised more than $400 to pay Duran back for her good deed. But Duran said she couldn’t accept that either, and instead, donated the money to the cafeteria. Duran says she was Dylan’s number one fan before, but now she’s even more in awe of her giving son. “My cup runneth over,” the satisfied mom wrote.